I have had arrythmia for many years but it has gone untreated until very recently because of very bad reactions to medication. 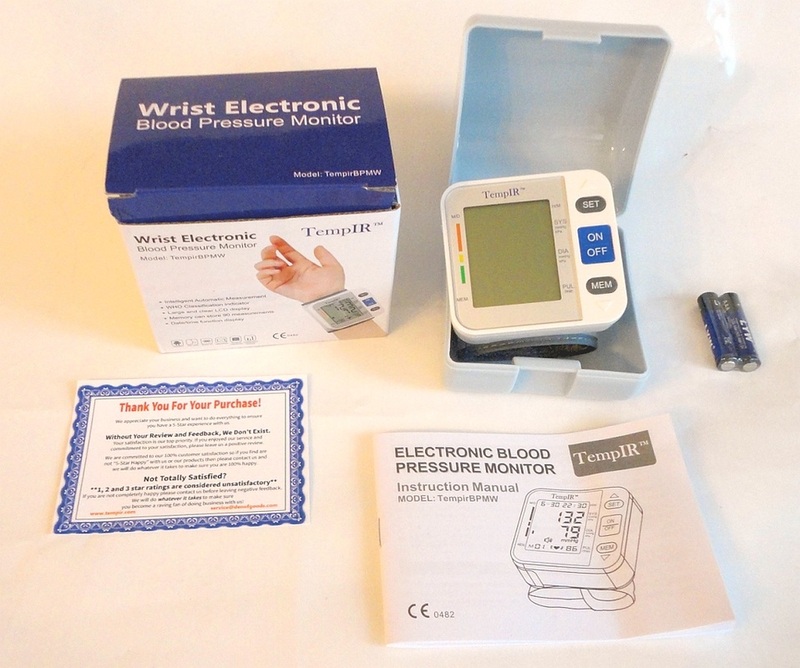 So I am well aware of the importance to monitor heart rate and blood pressure. When I was offered a chance to test this product for the vendor, I was very happy to accept. This professional-looking monitor gives reliable readings in an easy-to-use, unthreatening way that can be incorporated by anyone into a home monitoring routine. In the box you find the monitor itself, attached to a semi-rigid, adjustable cuff fastened with Velcro. The fabric sleeve is quite long and can adapt to wrists of all sizes. 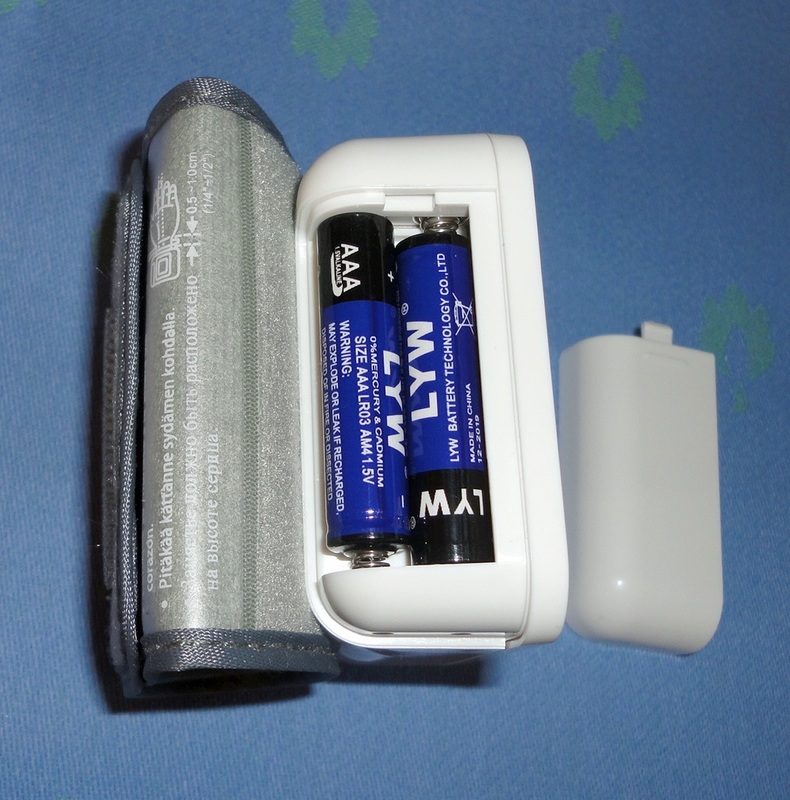 There is a hard plastic storage case that perfectly accommodates the monitor and folded cuff, and two AAA batteries are provided so the unit can be used immediately out of the box. The instruction manual is very comprehensive and appears complicated at first glance, but after a couple of readings, it all made sense. 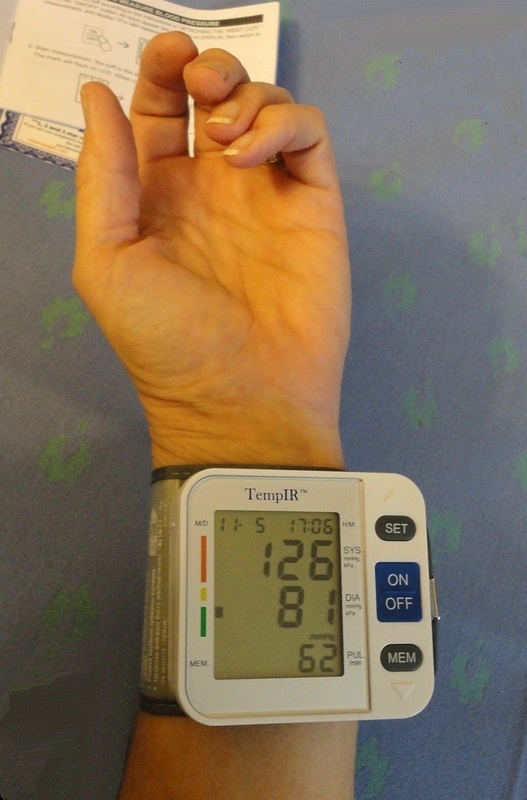 The monitor itself has a large LCD display with tall, readable digits and shows a lot of information: month and day, and hour and minutes at the top; systolic over diastolic pressure readings, and pulse rate. On the left there is a colour-coded scale and the display will show a visual indication of how the reading sits on the scale, from good/normal (green) to dangerously high (red). There is also a small icon shaped like a cartoon heart, which would light up if the device detected an irregular heartbeat. And finally, on the bottom left is a consecutive memory count of past readings. The monitor can store up to 90 readings, with the latest being M1. By tapping the <SET> (up arrow) or <MEM> (down arrow) buttons, one can cycle through all memorized readings which show the three main values plus the date and time when the reading was taken. 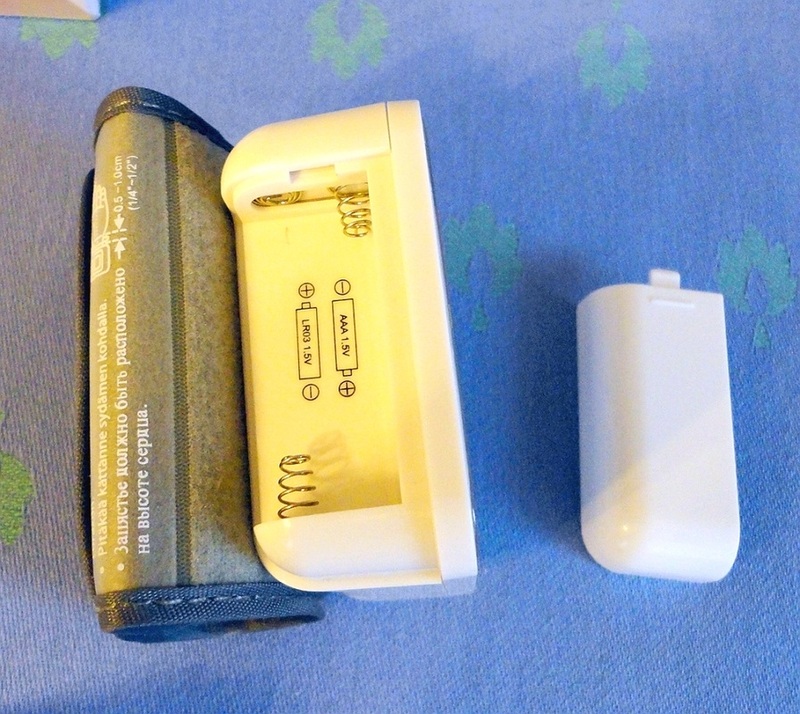 These two buttons are also used during the initial set-up of the device (date and time). Operation is very easy and is a one-person job: you position the cuff over your wrist as per photo, securing with the Velcro strap. Make sure the monitor is at heart level and rest your elbow on something solid like a table, if possible. 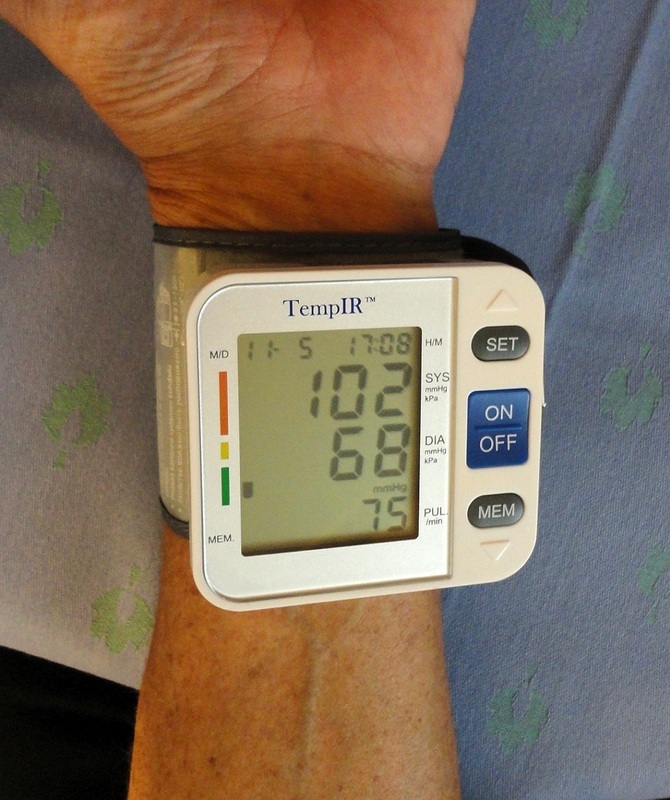 Press the ON/OFF button and the cuff tightens around your wrist (the pressure is very comfortable, much less than at the doctor's); at this point you should remain very still, without talking or moving, while the monitor takes a reading, a process which lasts about ½ minute. The three main numbers show and remain visible for about a minute, then the display turns off automatically. 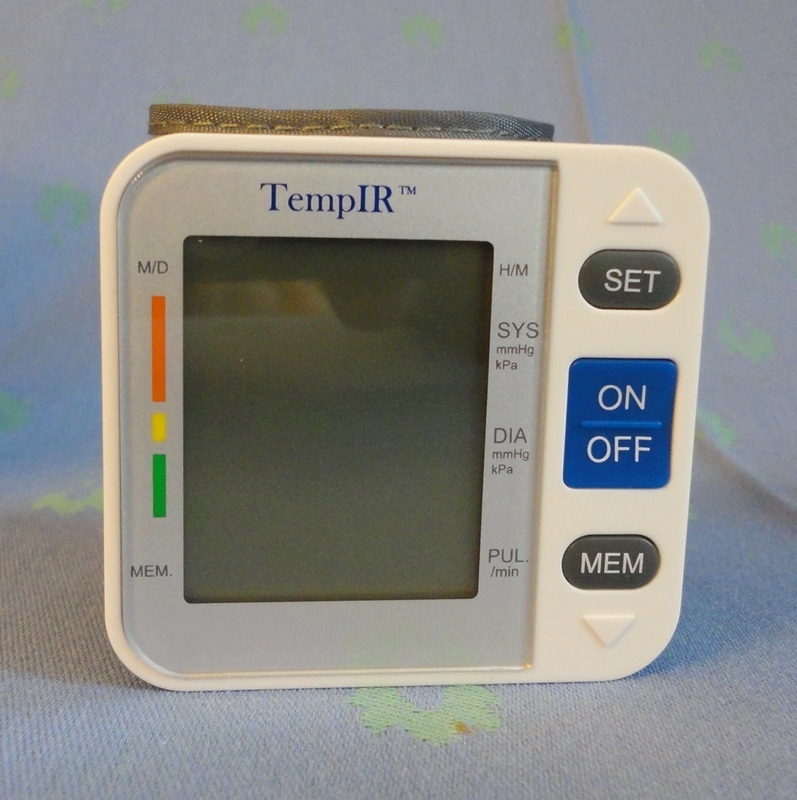 If you want to see the readings again, just hit <MEM> (if you use the ON/OFF button, the device will inflate and attempt to take a reading again). The only other precautions are to take your pressure at the same time each day (best early in the morning, before eating and before doing anything too active), and to avoid proximity with electronic devices with a magnetic field, such as phones, computers, etc. I find this monitor brilliant, super useful and very accurate. I have compared the results with my pulse monitor and they are consistently the same. However, as with weight scales, the main thing is not absolute accuracy, but rather the ability to detect changes and deviations from the normal. This device carries a lifetime guarantee, which I find reassuring. Excellent value for money. 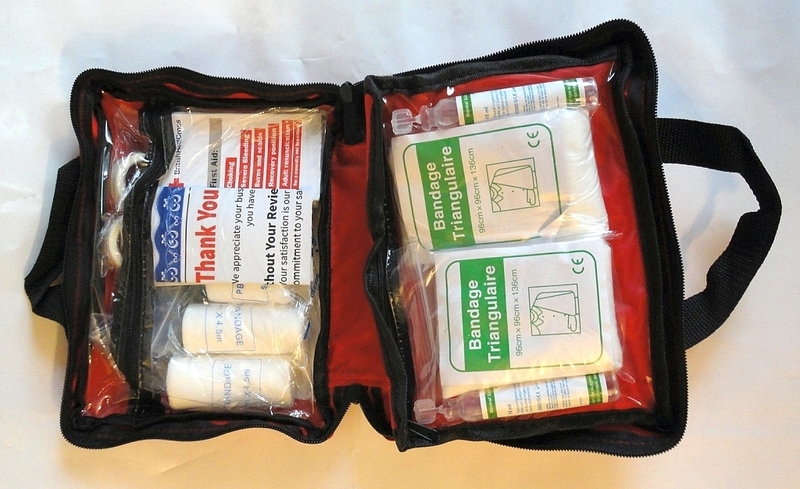 I can't believe how much stuff they have managed to stash into this cute little First Aid kit! 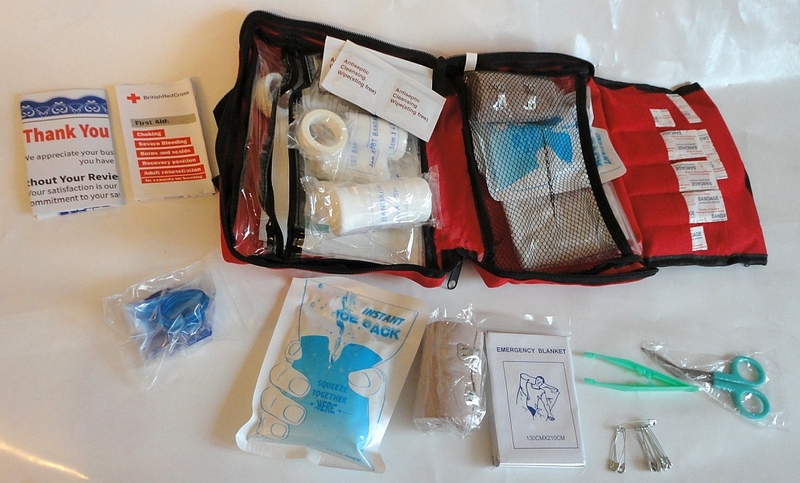 It looks like a toy, but it is a fully-stocked and intelligently-organized collection of just about everything you need to cope with small and not-so-small emergencies, cuts, burns, contusions, eye injuries, hypothermia, there is even a mouth-to-mouth CPR mask! 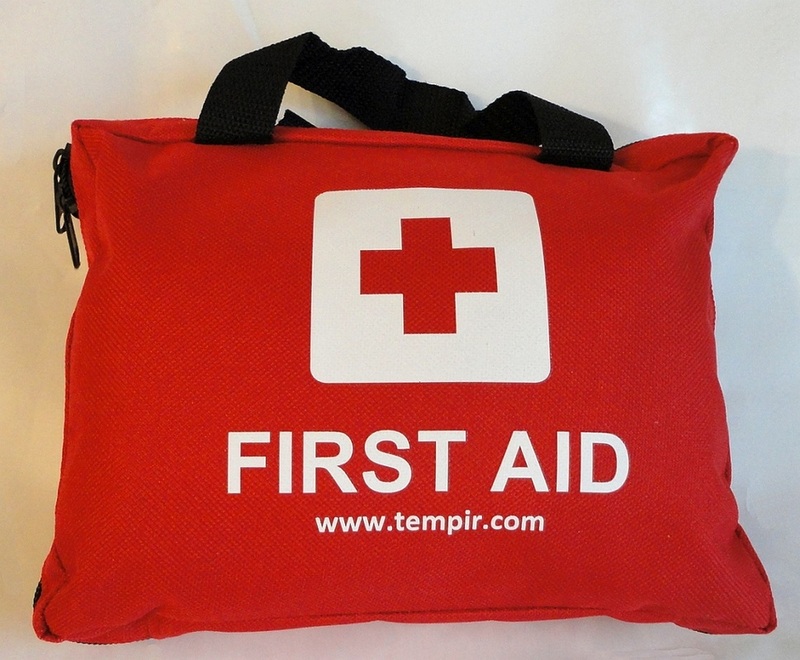 My husband has taken a First Aid course several times, and he was as impressed as I was on opening the bag. The contents are securely held but very visible in clear plastic pockets, elastic netting, and customized compartments. 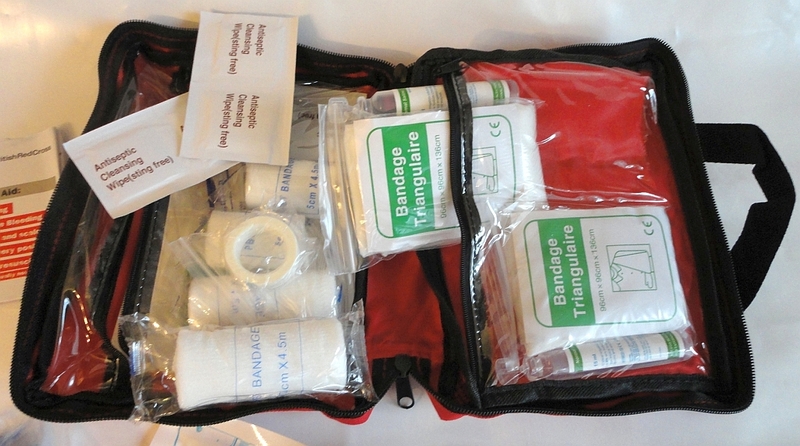 The quality of the supplies is high, the plasters stick, the scissors are sharp, the bandages and gauze are of useful shapes and sizes and what I really like is that there are multiples of many essential items, so you have spares to use until you have a chance to restock your kit. The only item I'm not sure about is the plastic tweezers, they feel a little weak. Also very useful in an emergency is the First Aid Guide, illustrated with drawings; if you already know the basics, it can serve as an invaluable reminder of what to do when under pressure. 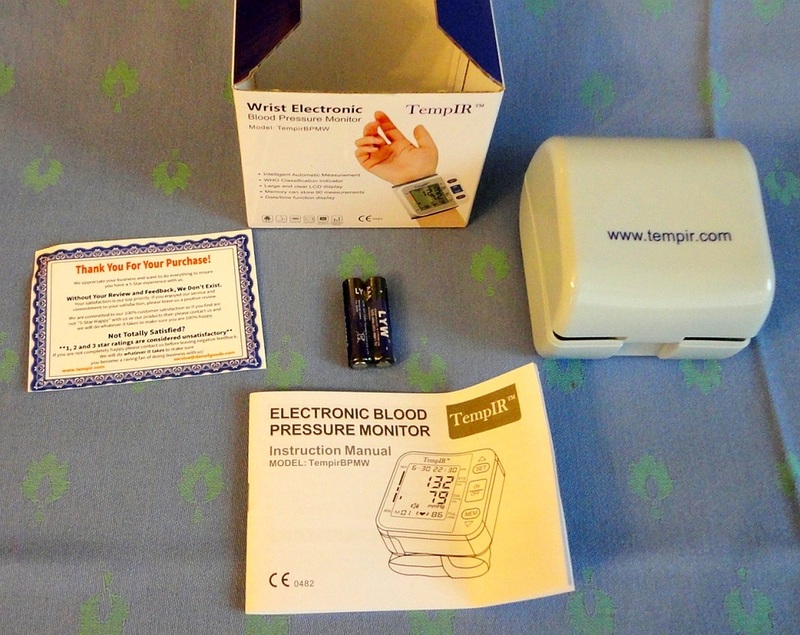 I was offered a kit to evaluate and review, and I'm happy to say that this product has exceeded my expectations. The very compact size means that it is ideal to keep in the car, to take along when camping, hiking, travelling, or just to have around the house. With everything you need so cleverly arranged in one place, precious time can be saved when you need to act fast. At this price (currently less than £17) it's a small investment in convenience and peace of mind.